Hope to see you at our March Book Group on Wednesday 2 March. Last night’s discussion of this book really divided opinion between those who while enjoying the start found that the book quickly became dull, uninspiring and unconvincing to those who thought it refreshing, enjoyable and a joy to read. Fifteen people attended and scored the book an average of 6.1. City of Edinburgh Libraries has launched a marvellous new scheme for local book groups. Over 100 titles are available for loan to book groups. Fifteen copies of each book can be borrowed for up to 6 weeks. This means we’ll no longer need to buy or borrow books individually – it’s a great idea! Remember to leave a comment below with your top 3 preferences for our July book from the choices here. 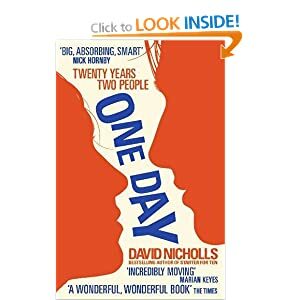 This entry was posted in Book Group, Cultural and tagged Book Collections, Book group, Book Lovers Group, City of Edinburgh Libraries, David Nicholls, Edinburgh, One Day, Sunday Brunch Club, T E Carhart, The Piano Shop on the Left Bank.